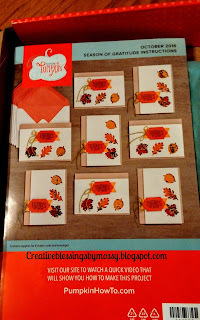 Stampin Up offers a monthly craft-in-the-mail subscription kit. It's always a surprise- and most kits can be completed in 30 minutes. 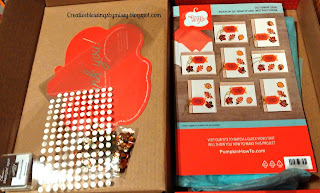 All supplies are included (except snips) so it's a great option for on-the-go crafting, college students, young artists, older family members or anyone! Have you tried it yet? 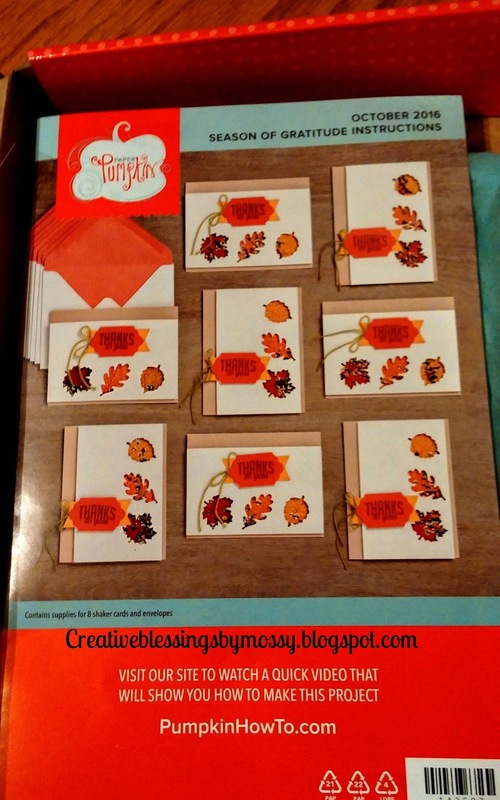 This kit makes 8 shaker cards - and includes the cardstock bases, envelopes, die cut pieces to embellish, bakers twine, adhesive, an ink spot and an exclusive stamp set. Here are the pieces as I'm creating. And a finished card! Now to create some alternative projects. 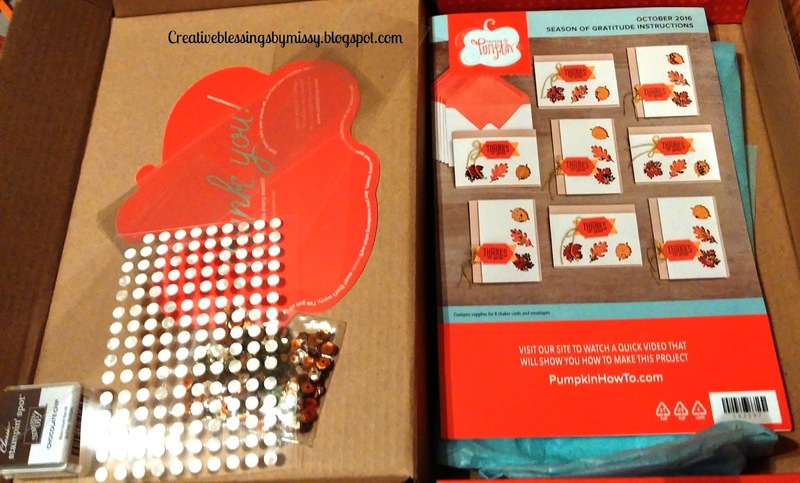 Think you're not crafty or don't want a lot of stuff- then Paper Pumpkin is for you! Watch my events on my facebook page (Creative Blessings with Missy) for an upcoming night in Nov.to try Paper Pumkin for FREE! I hope to hear from you! 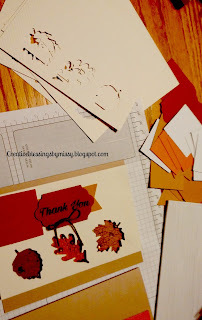 Leave a comment of what you'd like to see, what posts you like or don't, just let me know you read my post, lol.